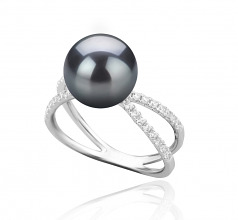 Meet the Zana 9-10mm Black Tahitian Pearl Ring! 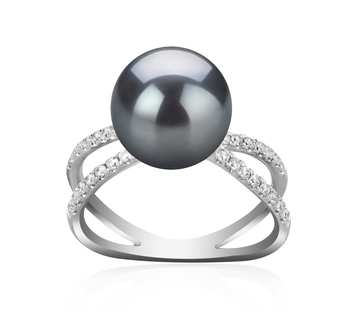 Daring and feminine, this pearl and diamond ring promises to enchant and delight any lady who is fascinated by the power of black pearls. 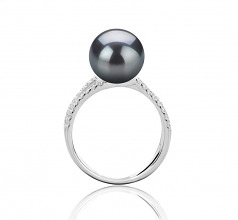 Created in sleek sterling silver, this ring showcases a radiant black Tahitian pearl center with green hues. 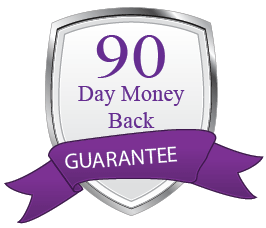 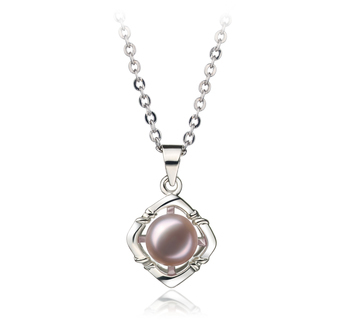 The high AAA quality is obvious in its round shape, body, luster and overall grade. 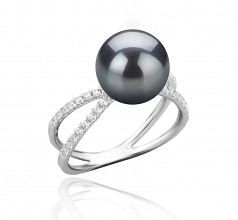 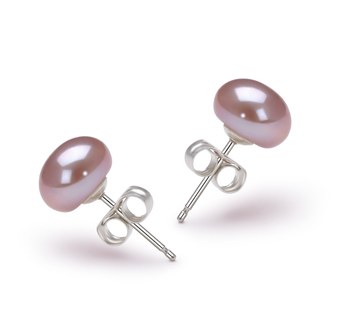 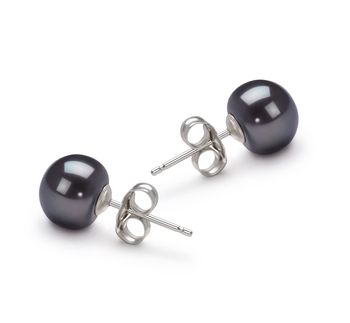 Two rink shank lines of shimmering diamonds emphasize the natural beauty of the Tahitian pearl. 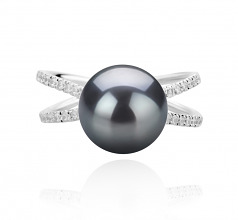 Polished to a lustrous shine, this seductive black pearl ring is certain to become a fashion favorite. 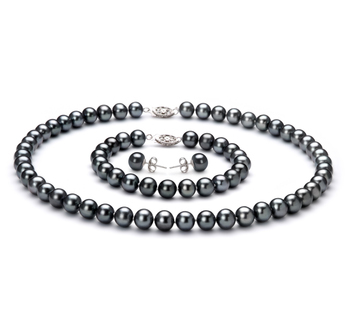 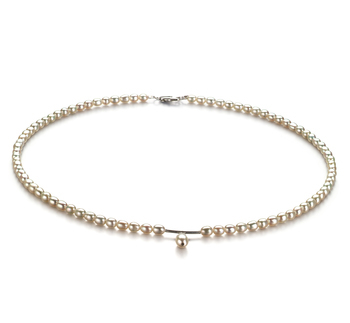 Style it with a set of black pearl earrings of the same pearl size, a long ruffled dress with a shiny belt and you achieve a glamorous look, worthy of appreciation and tons of compliments!